In January 2006 Matt and Bronwyn purchased Kistner’s Flowers, a business that has been serving Manhattan and surrounding areas since 1946! Both Matt and Bronwyn are K-State graduates. Matt got his degree in Greenhouse management with a Business minor and Bronwyn received a dual degree in Psychology and Fine Arts. They met and married while working at a local tree nursery to put themselves through school. 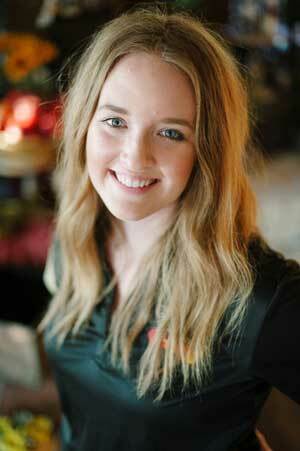 After graduation they both worked for the former owners of Kistner’s, the Orr-Lee family, for three years. The call of adventure took them back to Bronwyn’s roots, Alaska, for three years where they worked at a private lodge 90 miles down a dirt road, off the grid, in the heart of Denali National Park. In their off seasons they travelled to Costa Rica for backpacking, Juneau, Alaska for a winter living on a 32’ sailboat and Bozeman, Montana to experience the beauty of the Prairie meeting the mountains. While in Bozeman, ending their 3rd year of adventuring around, they received a call that Kistner’s was for sale! After much considering and discussion they packed up and headed back to Manhattan for their next adventure. January 2018 marks their 12th anniversary owning and operating Kistner’s Flowers. In 2018 both Matt and Bronwyn were awarded the prestigious award of AIFD and CFD. They both enjoy raising their family of 3 girls and 2 Bull Dogs while being able to serve the community in a way that allows them to showcase their natural ability for design and creativity. Because of her studies in fine art and philosophy of aesthetics, Betsy’s designs fully showcase the unique beauty of the variety of fresh flowers Kistner’s carries. Using color and texture, the same flower can exhibit completely different style determined by its surroundings. 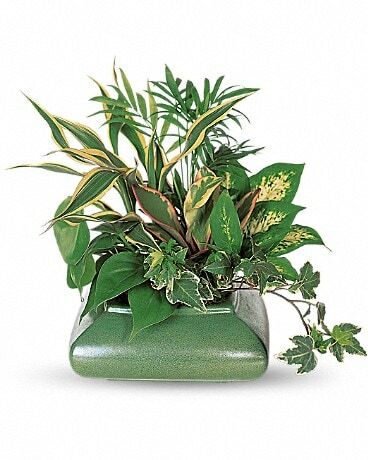 Betsy also enjoys turning houseplants into singular home and office decorations for all tastes. Betsy’s favorite flower is Ranunculus (Little Frog). Outside of work, Betsy creates fine art with the help of her mentor, continues her research with her growing collection of books, and participates in local music through choir and musical theater. Heralding from Montana, Betsy earned her degree at Montana State University and Université Paul-Valéry in Montpellier, France. Throughout her childhood and into her adult years she has been fortunate to travel to Australia, Canada, Italy, Spain, Turkey, Sicily, Germany, Switzerland, Belgium, and France. She would love to spend time in Mongolia or see the Himalayas. Speaking French fluently would allow her to travel in Africa as well- perhaps to see Mount Kilimanjaro. As a nature lover and explorer, she is also interested in space travel. Although the creative aspect of the work at Kistner’s flowers keeps her craftsmanship honed, it is the ever-changing wishes of customers that keeps her inspired. Please stop by to put her talents to the test and for conversation! Sarah began working for Kistner’s Flowers in 2015 while also owning and operating her photography business, Beautiful Isolations. Her passion for photography and her love for beautiful wedding details have played a big role in transitioning into the flower world as the two play such a big part for brides on their wedding day. Sarah and her husband, Jake, along with their beautiful baby girl Penny and two dogs Digby and Charlie currently live in Gardner, Kansas. They manage their photography business together and you can find their work at www.beautifulisolations.com. Sarah, having worked at Kistner's Flowers for several years has a wide range of favorite flowers depending on the season: peonies, garden roses, ranunculus, and the many types of protea to name a few. She also has a slight obsession with seeded eucalyptus! 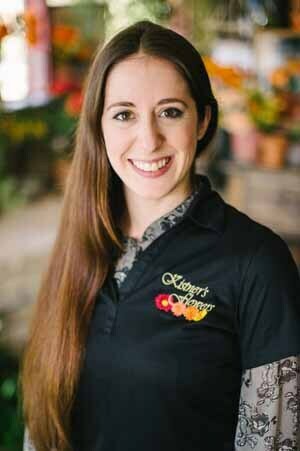 Sarah's current role at Kistner's Flowers is to manage the social media and other personal relations, while balancing her time with a new baby and photography. Neely is currently set to attend Kansas State University as a student of Fine arts. 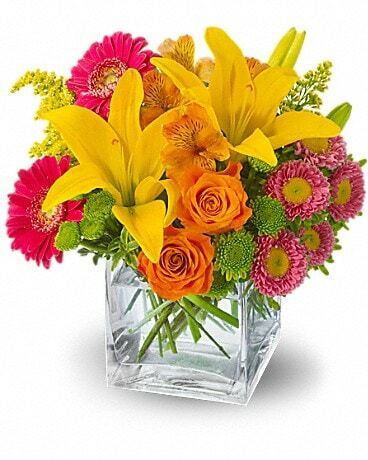 She is developing a love of flowers and is excited to be using her passion for art in the floral industry. In her spare time she loves music, painting, spending time with her family and hammocking. Cindy Anderson has been in Manhattan for over 20 years and is a Preschool teacher during the school year. Her love of flowers and people and creative artistic skills have led her to work as a floral designer. 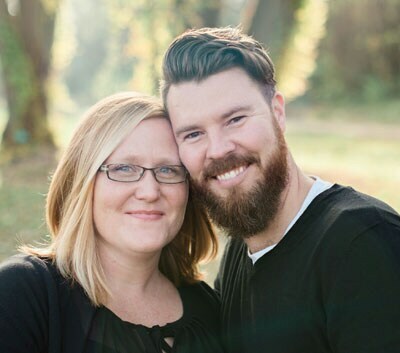 Cindy Loves spending time with her church, counseling couples engaged to be married, loving on a new grand baby boy and her other children, and time with her husband.